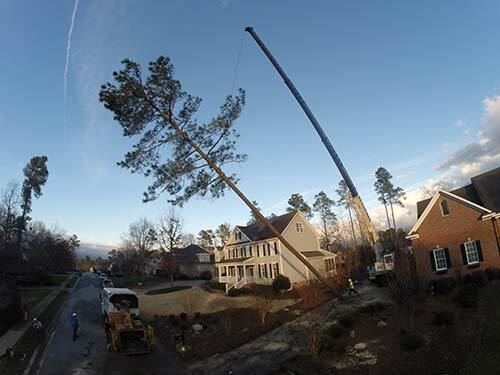 Removing trees with the assistance of a crane is hands down the best way to do it. 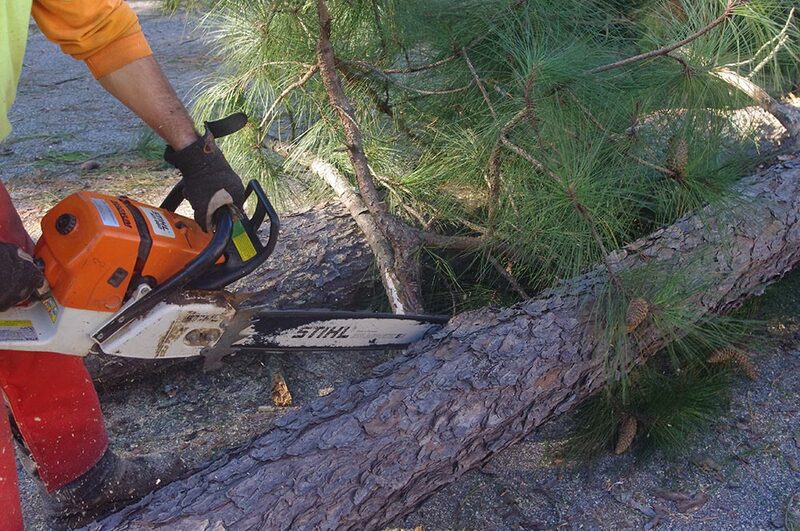 Traditional tree removal methods are often time consuming and labor intensive. 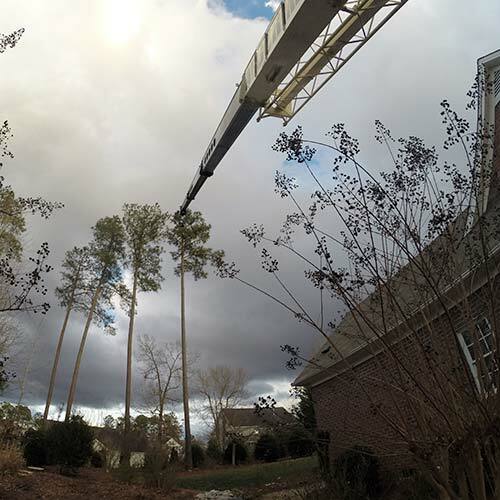 They require complex rigging and lowering to avoid obstacles and usually have inferior results compared to the crane assisted tree removal process. 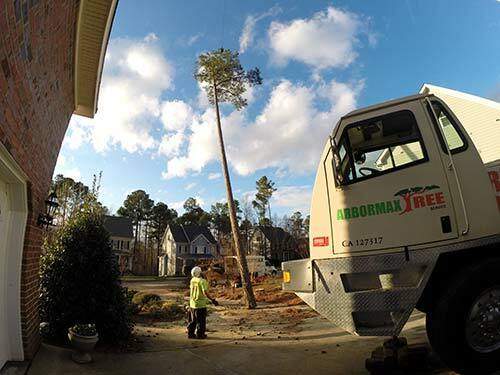 When a crane is used in the tree removal process it greatly reduces the amount of time that it takes to remove the tree and it also decreases the impact to the surroundings. 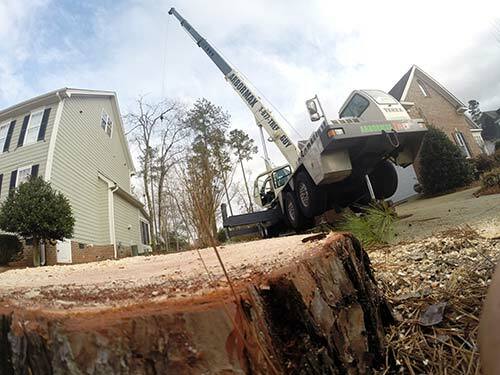 When using a crane we are able to provide a safe and efficient no impact tree removal at a lower cost than traditional methods. 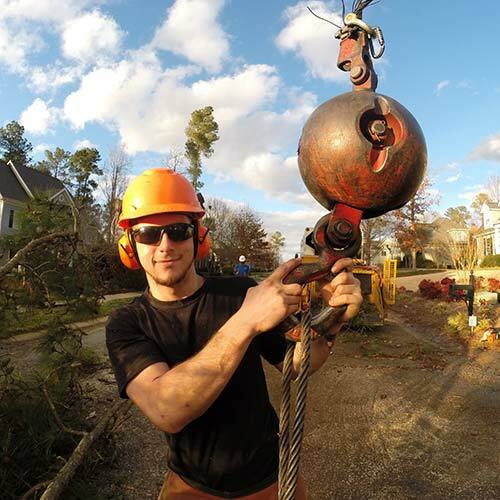 Cranes are the next best invention to the Chainsaw in our industry. 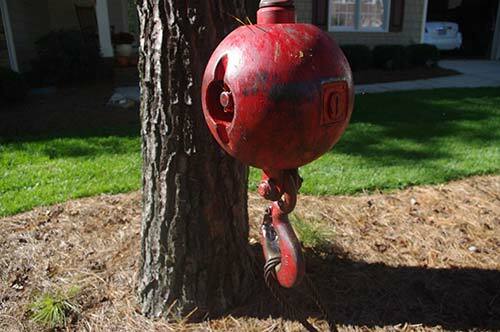 They have been utilized by tree services for decades but have become increasingly more popular over the past 20 years. 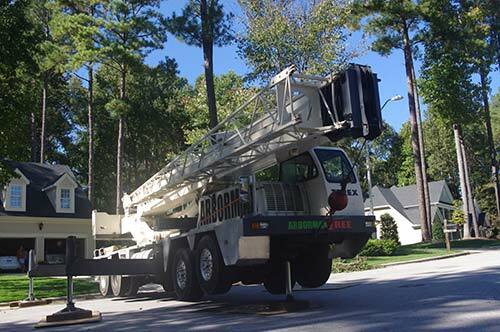 Although very popular to use, It’s not very common for a tree service to own and operate a crane. 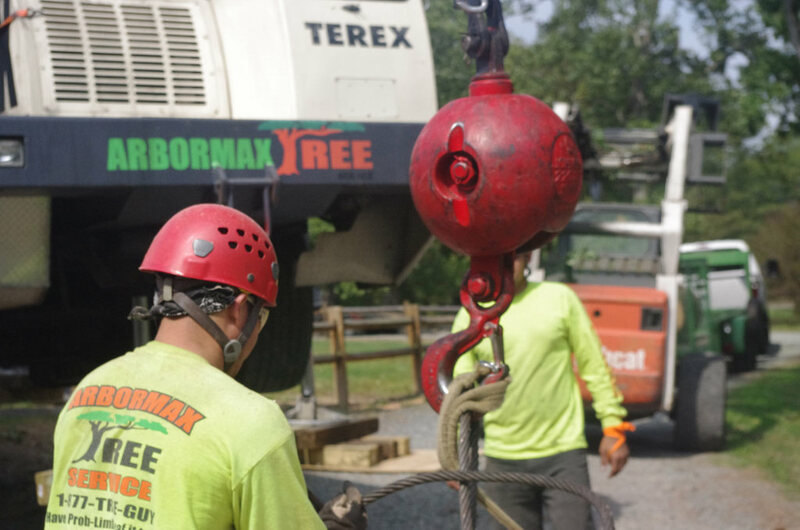 Arbormax tree service is proud to own and operate our cranes. All of our Crane operators go through an extensive training process and are CCO certified. CCO certification is one of the hardest certifications to obtain and not only takes years of experience. Plain and simple It takes skills, you have to be a great operator. But it doesn’t just stop there for our operators. Removing trees with a crane is half art and half science. No two trees are alike and each individual tree has to be handled differently. 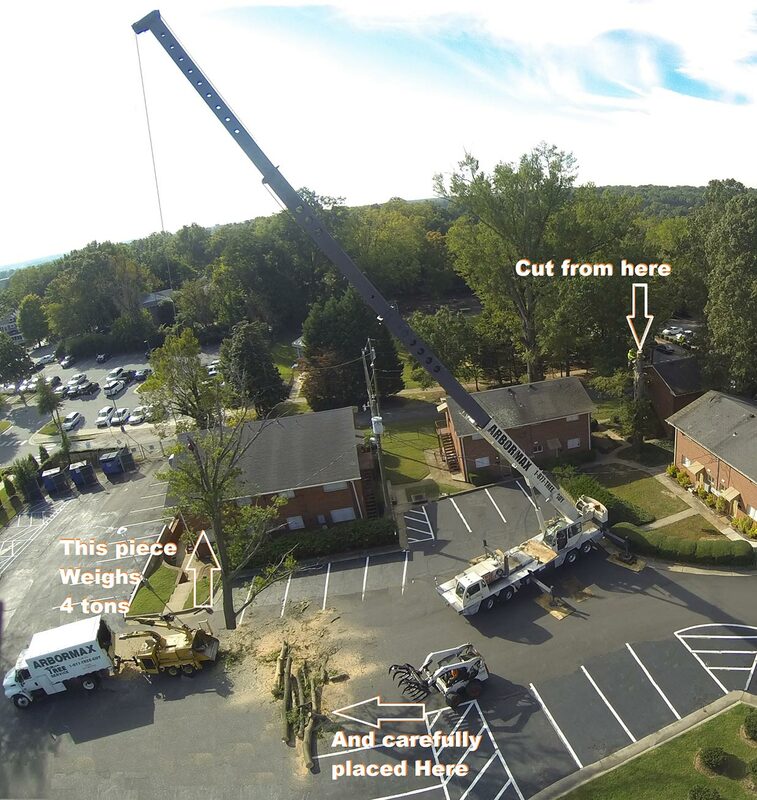 – The tree removal crew will survey the site upon arrival and during their pre-work meeting they will determine the best area for the crane to be set up. Multiple factors will be taken into consideration. Elevation/grade changes, overhead obstacles, distance from the landing and picking areas and of course space for the crane. Once the crane has been safely pulled into the work zone it will be set up and leveled. Plywood and other materials such as 6×6 wood blocks will be used for cribbing and additional height. There are 5 outriggers/stabilizers on the crane that elevate the crane off of the ground and support it during operation. The crane must be perfectly level all the way around to ensure stability during operation. The set up process usually takes about thirty minutes which is longer than the average tree takes to remove with the crane. Each tree is different and will require a different course of action for removal. Prior to lifting the tree climber/cutter into place, the crane operator and tree climber will formulate a strategy for the removal process. Each cut and lift will be carefully planned and discussed. Once a removal plan is established the work will then begin. Many things must be considered first, like the weight of the pieces to be removed, the angle and growth pattern of the pieces, and the size of the area that the pieces will have to be moved through and lowered into. The climber and operator must be able to accurately estimate the weight of piece prior to cutting. If the operating capacity of the crane is exceeded it could cause the crane to turn over. The growth pattern and angle play a role in the determination process too. Large horizontal limbs on oaks will require different rigging and lifting methods than a Pine Tree with a vertical growth pattern will. Now the fun part begins. The actual tree removal. The climber will tie his support line into a secure place above the ball of the crane and he will then signal for the crane operator to lift him to the designated point where the crane will attach to the tree for removal. Once he has securely attached the cable to the hook of the crane and the tree Tension will be applied. The Climber will then rappel down the tree to the designated cut point and connect his lifeline to the tree. Once he has secured himself he will make the appropriate cut for the situation. 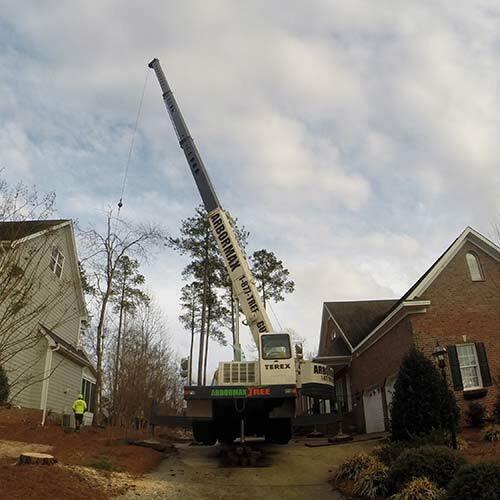 Simultaneously, the crane operator will apply the correct amount of force and boom the crane into the correct place for extraction of the piece. As soon as the piece has been cut all the way it will be safely lifted and maneuvered through the air to the drop zone. 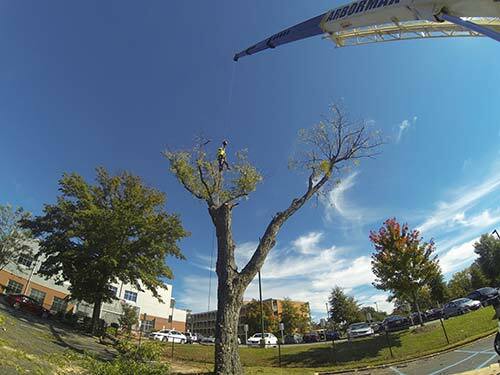 The hooking and cutting process is repeated until the tree has been completely removed. 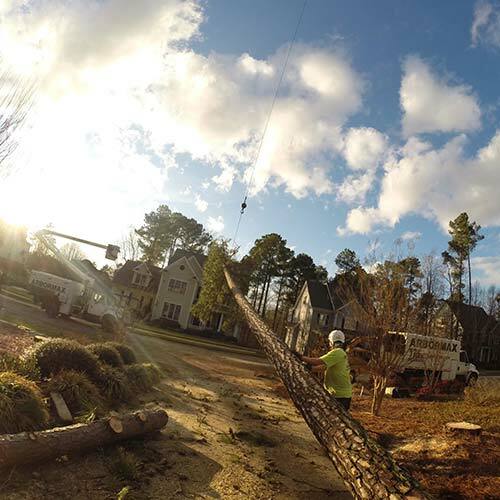 We offer crane assisted tree removal to all of the surrounding areas. Raleigh, Cary, Durham, Garner, Wake Forest, Chapel Hill, Garner, Smithfield, Clayton.